Temptation Resort for adults only... is it taboo? Who is it for? Is it something you should be selling? will answer these questions and more! Get introduced to the concept of adult-only travel and dispel the myths surrounding it. 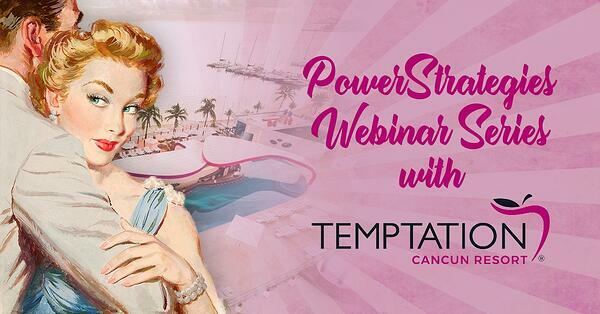 Then we'll jump into the Original-Group brand, highlighting Temptation Resort Cancun and what makes it special. Now you're excited to start selling Temptation, but not sure where to start. This session will talk about how to market Temptation effectively and target the right customers. Temptation may not be for everyone, but it's probably right for more than you think! You've got the tools now, you probably have a few clients in mind... now learn how to close the sale, prepare guests for the trip, and make Temptation an ongoing asset to your offerings.